In the history of a science there are many cases when the same idea simultaneously comes to scientists, living in different parts of the world and not knowing about each other. In this regard, Academician Vernadsky believed that around the Earth there is an information field, to which all people are attached and where they get their information. It turned out that this is not a field, but another level of the Universe – the Information level. The structure of the Universe. 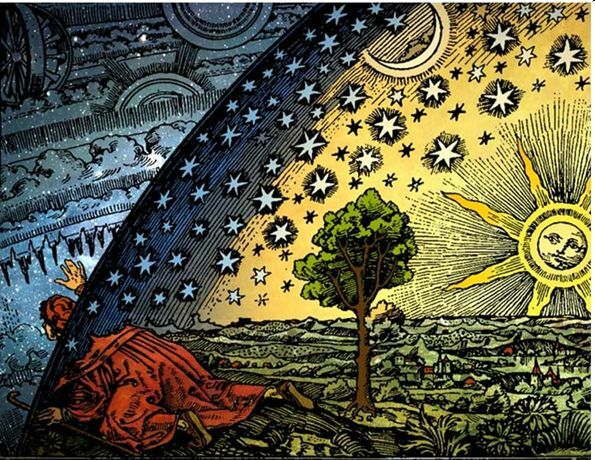 The Universe is unimaginably huge system of the worlds visible and invisible to us and different by their nature. All worlds are interconnected and have mutual influence on each other. The purpose of the system of the Universe - formation and perfection of consciousness. 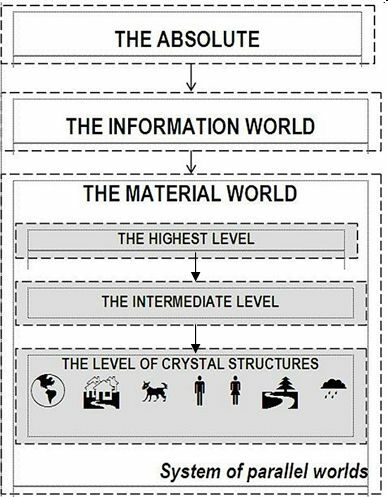 The system of the Universe contains three basic levels: the Absolute, the Information world and the Material world. The system of the Universe is created and managed by the Creator. 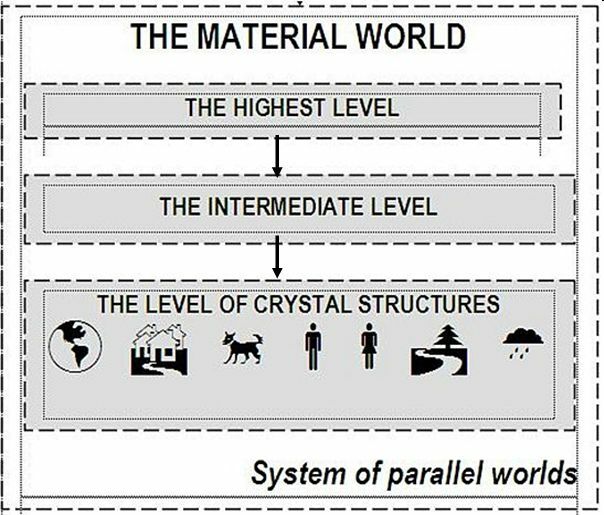 The Material world presents the system of parallel worlds and consists of three main levels: the Highest level (HL), the Intermediate level (IL) and the level of Crystal Structures (LCS), and also countless intermediate sublevels. Our universe together with Earth and us is located at the lowest level of the material world – the level of Crystal Structures. At the level of Crystal Structures a body is firm. At the Intermediate level a body looks like the weight hologram. At the Highest level of the material world a body is presented by weightless hologram. The Information world is an information storehouse, a library of the material world. It contains complete information about each material object of the universe: stars, galaxies, planets etc. And also about us. In the Material world there is space and time. In the Information world time and space are compressed. So in the Information world there is neither space nor time, but only information. On the Information level works consciousness and we make decisions. 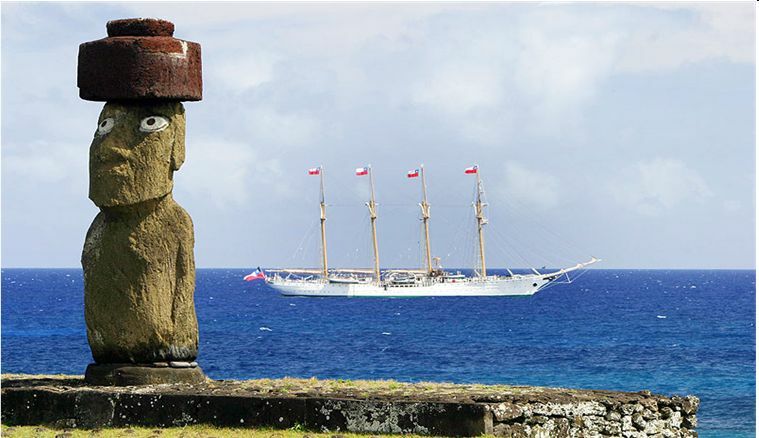 The connection between the Material world and the Information world is presented by idols of the Easter Island. The idol is a representation of the human being at two levels of the Universe: a body of idol shows the Material world, and a red cap presenting an information cell – the Information world. Decoding of extraterrestrial civilizations’ symbols of consciousness is an entrance into another new to mankind level of the Universe– information– a world of consciousness.